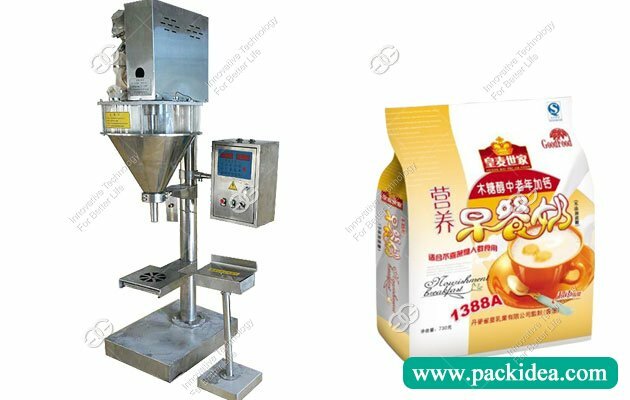 Application: This powder filling machine is suiatble for packing milk powder, spices powder, and other powder into pouch. The China dry powder filling machine adopts stepper motor control technology and electronic weighing technology, single-chip control, with automatic quantitative, automatic filling, correction error, counting, cleaning and other functions, stable machine performance, the milk powder filling machine can be configured automatic feeding machine, conveyors, sealing machines and other equipment according to customer requirements. 1. 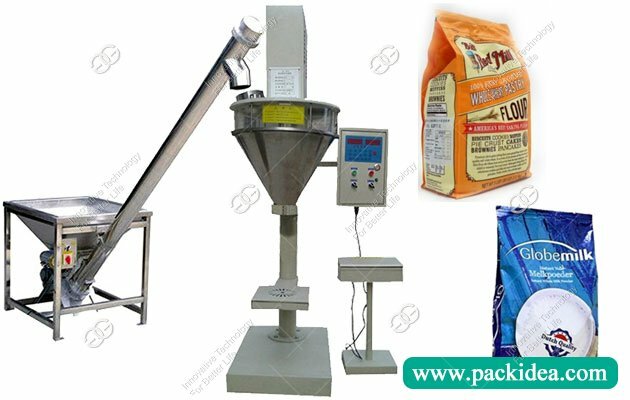 Specifications range: Within the 2-5000g through adjusting and replace the feeding spiral to pack different specifications powder bag continuously. 2. 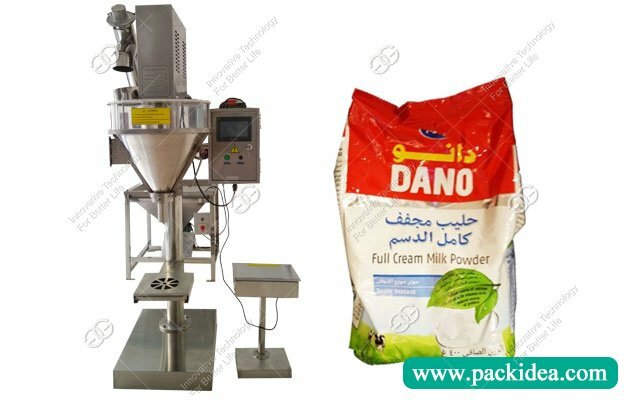 The milk powder filling machine suitable for packing a certain flow of powder materials, containers (bags, cans) is not limited. 3. Error caused by material gravity and material level changes can be automatically track correction. 4. This semi automatic powder filling machine can be equipped with a screw feeder for automatic feeding control. 5. Weighing and display, more in line with the principle of human mechanics, easy to operate. 7. The use of professional electrostatic spraying process, compared with the traditional spray painting process, paint adhesion is stronger, more beautiful appearance. 8. Various packaging parameters can be stored, up to 10 recipes can be stored; For the material packaging with large dust, dust absorption system can be configured to clean the workshop environment. 9. The screw attachment can be used for packaging of milk powder, solid drinks, glucose, coffee, granular additives, dyes and other materials. The dry powder filling machine can also be customized according to your requirements. For semi automatic powder filling machine requirements, such as temperature, pressure, time, measurement, speed and so on have a reasonable, reliable packaging equipment, as far as possible to choose automatic control method, if produce a single product for a long time, should choose dedicated machinery. How does the machine fit our voltage? Before shipping the machine ,our sales will confirm with the customers about the voltage. When will you ship the machine? Normaly 10-15 working days . How can i buy this machine? First talk all machine details with our sales person, then talked about the price, after confirming the prices, you can choose the payment terms TT/Escrow/Western Union etc. Then you arrange deposit, after gettting the deposit, we produce the machine. last, packing and shipping the machine for you.